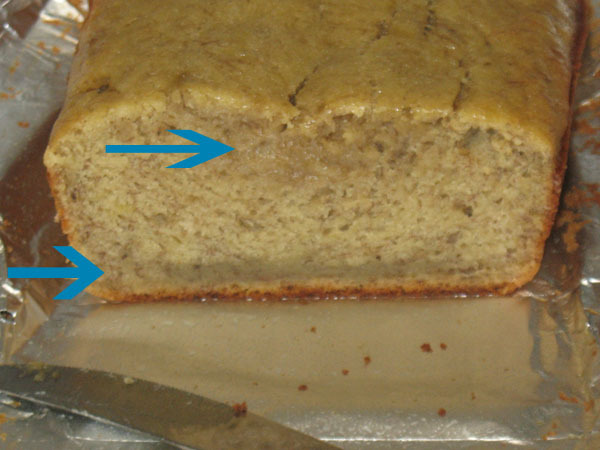 My latest attempt at banana bread resulted in something that fooled the senses at first. It smelled done, it felt done, and the toothpick test (in 5 places) indicated it was cooked through, so I served it. The first slice was fine. The second slice was fine. Sometime later, I noticed it was a bit… juicy. I dissected the loaf and the centre was jiggly. It was so raw, I became rather disgusted and put the camera down. It couldn’t, shouldn’t, be photo-documented any further. I confided to my bestie about what happened. It’s true! 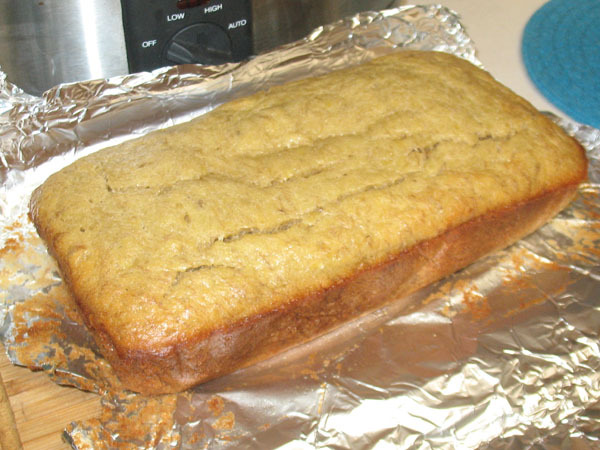 My ginger loaf and banana breads always come out of the oven screwed up. Maybe I need more practice. In the Year of Pie and the Trials and Tribulations of Fudge, it didn’t take too long to get it right. I just made it all the time for awhile (my guts are recoiling in memory) until I got it right. So; practice. The worst part of making banana bread is letting the bananas ripen. There is a fine line between over-ripe fruit and putrefied fruit, turn your back for a few hours and suddenly instead of squashing mushy bananas, you are splitting the skin with a knife and watching the clear fluid burst out like a floater fished from the river. Zombie fruit on the counter isn’t my idea of a good time. Experiments in cellular degeneration gone awry. Oh well. Time to get back to The Rotting Bread. This entry was posted in tea bread and tagged best friend, disaster, food, recipes, tea bread.